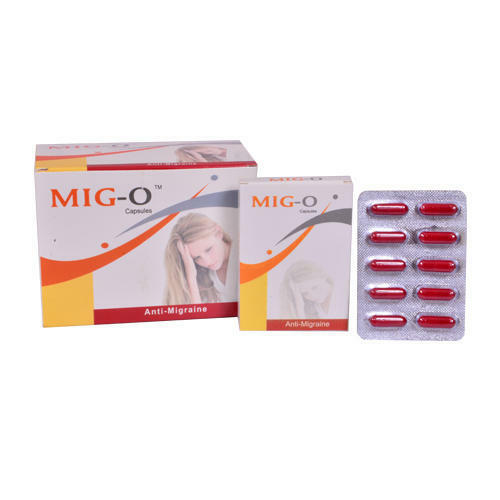 We are offering an extensive array of high-quality Mig O Capsules to our customers. This is useful in a migraine which consists of a severe, throbbing headache, usually located on one side of the head. In most cases, migraine attacks are preceded by warning signs like zigzag flashing lights, scintillating visual effects, blind spots, numbness in parts of the body, and distorted visual effects.